Airfield’s first wine grapes were planted in 1968 by Don Miller. Today, the estate vineyard spans over 830 acres and includes approximately 20 different varieties of wine grapes. The vineyard is located at the foot of the Rattlesnake Mountains in the Yakima Valley. 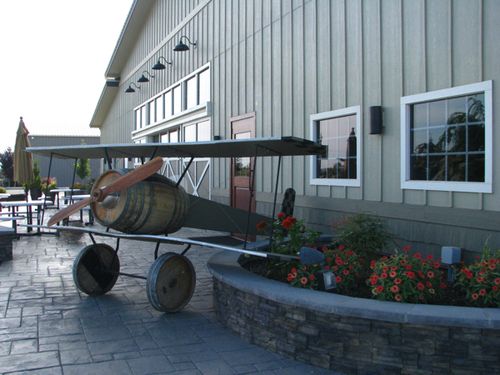 All of the vineyard blocks are situated within a 5 mile radius of the original WWII airbase. Within this range, there is a considerable amount of diversity of soil and microclimatic conditions. To maximize quality, we carefully match grape varietals to the most suitable sites.